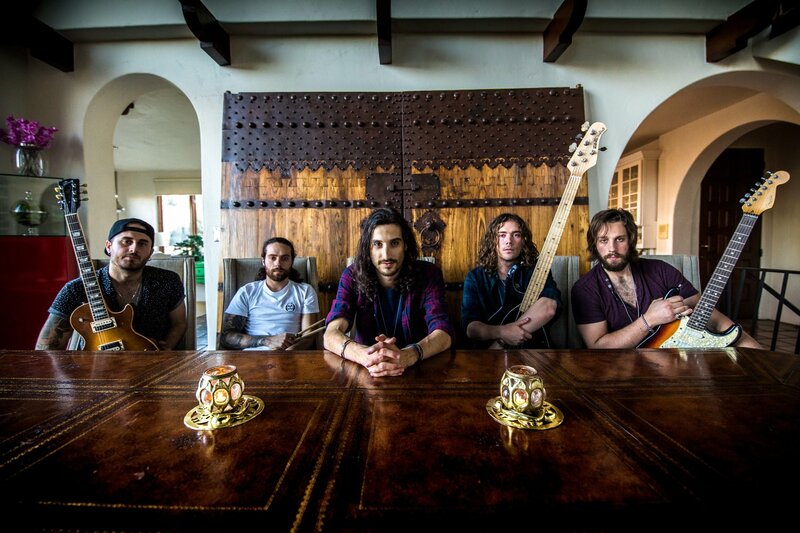 Sydney hard rock band Bad Moon Born have landed a US deal with TKO booking agency, founded by its president Andrew Goodfriend. With offices in New York, Los Angeles, Austin, and London, TKO’s 75-strong roster includes Albert Hammond, Scott Ian, Fear Factory, Drowning Pool, Ace Frehley, Alien Ant Farm, Devilskin, Bury Your Dead and Australia’s own Karnivool. This has come after US record producer Kato Khwandala took an interest in the band. He died in a motorcycle accident this past April. Khwandala’s manager Andrew Brightman of Brightman Music says, “Kato was passionate about Bad Moon Born. Bad Moon Born said, “We’re blown away that guys of this calibre have been so keen to get their hands dirty to support and help an Aussie band like us. “Both Andrews have worked with so many bands that we’ve been influenced by, including Sevendust, Slipknot, Disturbed, The Pretty Reckless and heaps more. The UK/Australian promoter and venue operator The MJR Group has extended its global partnership with San Francisco-based Eventbrite, securing a multi-year ticketing deal. The decision was made after MJR Presents in Australia sold 25,000 tickets for two Australian 50 Cent concerts. The agreement will take on MJR’s portfolio of future touring events, creative productions and venues. Richard Buck, founder and owner of The MJR Group, commented: “With lots of innovative projects planned over the next years, a ticketing partnership with Eventbrite felt the right move to support our growth. In 2015, it joined Australia’s S4 Productions, amalgamating under the new brand MJR Presents. 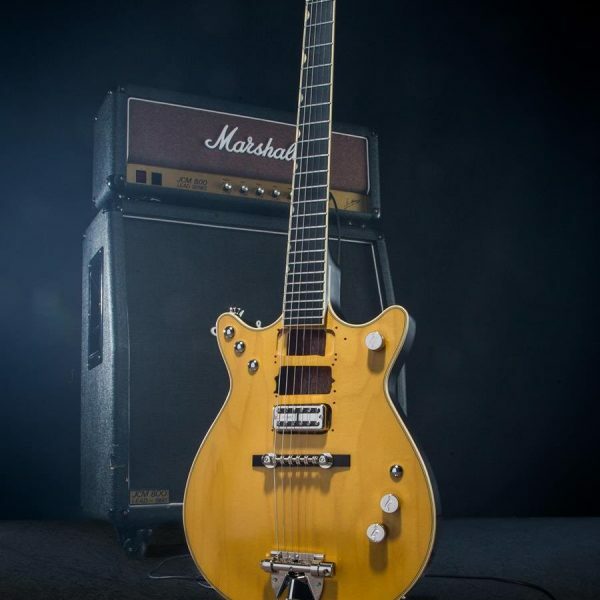 To celebrate the first anniversary of Malcolm Young’s passing, Gretsch is releasing the ‘G6131-MY Malcolm Young Signature Jet’, a recreation of his custom-made ’63 Jet Firebird, this November. When we say ‘recreation’ we mean just that: it comes with the customisations and bash scars on his original! Melbourne-based singer/songwriter Didirri assigned his publishing for Australia and New Zealand with BMG. With strong triple j airplay, Didirri is now in the position of selling out (two) headline tours and generating overseas interest. Didirri said, “My primary passion is songwriting, I hope to be able to do this for the rest of my life. Didirri’s management, Larissa Ryan of Hutch Collective expanded, “Carefully building a team around Didirri who believe in his music as much as we do, has been a huge priority. “From the first meeting with BMG, Josh and I were impressed by how forward thinking and artist focused they are. Warner/Chappell’s latest global signing is rising hit writer Kloe who has written for Kehlani, Miley Cyrus, Kesha, Maluma, NOTD, Rita Ora, Baby Ariel and Ellie Goulding. Born in Glasgow, she began writing songs when at school and was signed to Columbia UK who released her debut EP, Teenage Craze, in 2016. A team-up between Perth Jazz Society and Procopy see the offer of studio and engineering time for a maximum of 3 x 8 hours recording days, including editing, mixing, mastering and videography (if desired) per artist/band. The initiative by Music Tasmania and Gaga Music will look at revenue making from sync and streaming. The Astor Sessions will explore the art of songwriting and the various uses of a song and composition from August 3-5 at The Astor Hotel in Hobart. The weekend retreat brings together 10 Tasmanian songwriters with Monique Brumby and producer Ryan Farrington (aka Akouo) to write, record, and share music while receiving industry mentoring. Over the weekend, participants will work together to compose music to briefs developed by Tasmanian brands; produce and record their songs; and understand the ins and outs of publishing and how to pitch music. Peermusic has acquired Accorder Music Publishing, one of the UK’s largest film and TV publishers. Its roster of composers includes those writing music for popular shows such as Great British Bake Off, River Monsters, Michael McIntyre’s Big Show, Hunted, Endeavour, The Jesus Code, How We Got To Now, The Great American Read, Becca’s Bunch and Teletubbies. At an event at Parliament House in Canberra, The Veronicas were named the latest ambassadors for Dementia Australia. Jessica and Lisa Origliasso’s mother was diagnosed with the disease. They said, “Until we went through this with our mum and started talking to others about dementia, we had no idea of the enormity of the issue and just how many other people are going through what our family is, every day. “After four years of misdiagnosis, we were heartbroken when we received the diagnosis and found it difficult to find information about what was going on. We felt so powerless. Australian Radio Network (ARN) launched a new advertising strategy for the iHeartRadio platform, with the integration of ‘ShakeMe’ interactive audio ads. In a first for Australian broadcasting, listeners can interact with ads without having to unlock and open their phones. When they hear an ad, a shaking of the device will trigger whether a phone call to be made, a coupon to be downloaded or a landing page that will open.